As anyone who has spent time with actors knows, the profession engenders a fair amount of credulity. Superstitions, from the mundane (a charm cached away in the dressing room) to the baroque and seemingly pathological (the hysterical behavior we associate with “method actors”), are common. And they collect around actors, too: the tall tales of theater lore make up their own cottage industry; fans trade souvenirs from movie sets like relics. There’s a reason so many conversations with or about actors wander into the mist of clichés about energy, spirit, even soul. Acting is one of the few realms in which secular cynics unblushingly let in the supernatural. Acting provokes a gothic anxiety: the terror of the double that mocks and haunts the original. The actor shows us that we could be copied, and also, more alarmingly, that we could be copies: that what we take to be our own feelings and actions could be predetermined and pre-given, belonging to another. After all, the double is never just a duplicate but always a potential usurper. This is the threat implied in the figuration of the actor as a ghost, an enduring association across many cultures, from Hamlet to the ghost plays of Noh. The medium of film adds another layer to the actor’s hauntings: when we watch film, we watch the dead image of the actor bring to life the nonliving character. And when an actor plays a number of different roles in the same film, it enhances this uncanniness. Such films are always, to some extent, about acting. The sight of the double forces us to abandon the suspension of disbelief we’re used to extending to stars, whose personae always precede and exceed their characters. Like Freud’s concept of the uncanny—that which reflects ourselves back to ourselves in distorted, monstrous form—the performance refracts and reflects its own processes, exposing the actor in all his phantasmal glory. 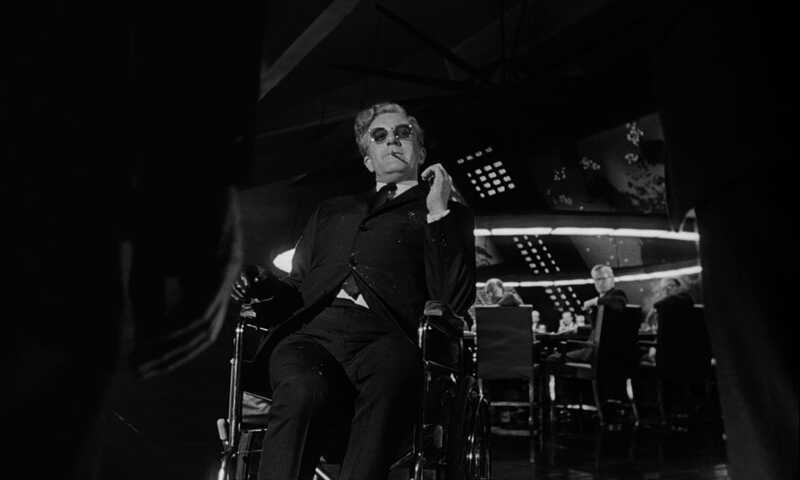 Though this doubling is used throughout the film in moments of irony and levity, it also creates an unsettling effect. Yukinojo, the emissary of the ghosts of his parents, is also a ghost himself: always inscrutable, present and absent, his detachment concealing depths of feeling. His androgyny captivates and destablizes both suitors and enemies. “There’s something creepy about that Yukinojo,” Ohatsu, the tough-talking female thief, remarks in an early scene, before falling in love with him, “you can’t tell whether he’s a man or a woman.” And his ability to embody the dead allows him to stage a dramatic return of the repressed. In the climactic revenge scene, Ichikawa films him in darkness, a strip of light illuminating just his eyes: “Do you not recall someone whose face resembled mine?” Yukinojo asks his victim. 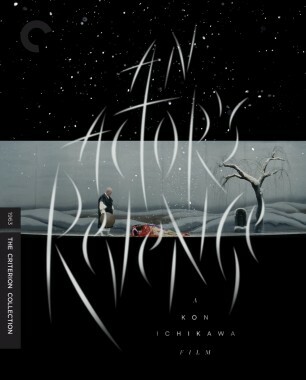 The film depicts acting as a haunted and haunting art. However, at the end, Hasegawa’s duplication lands on a suave in-joke between artists and audience. Yukinojo’s resemblance to his parents terrifies his enemy, but Yamitaro’s “resemblance” to Yukinojo is played for winks, for instance in the final scene, as Ohatsu tells Yamitaro that he looks a bit like Yukinojo “from the side.” If Yukinojo figures the actor’s uncanniness as an artist, Yamitaro figures his knowingness as an entertainer. 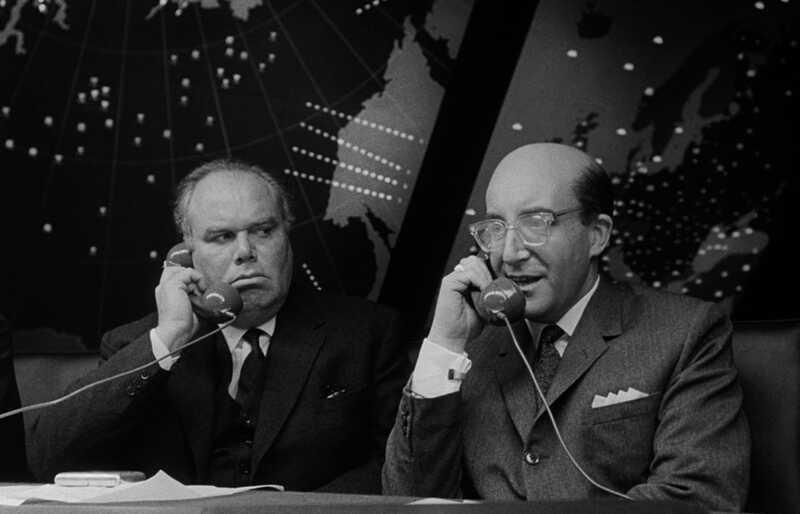 This ironic doubling that leads us back to the recognizable actor tends to be an effect of multiple role-playing in comedy, in Kubrick’s Dr. Strangelove, for instance, or Robert Hamer’s Kind Hearts and Coronets. 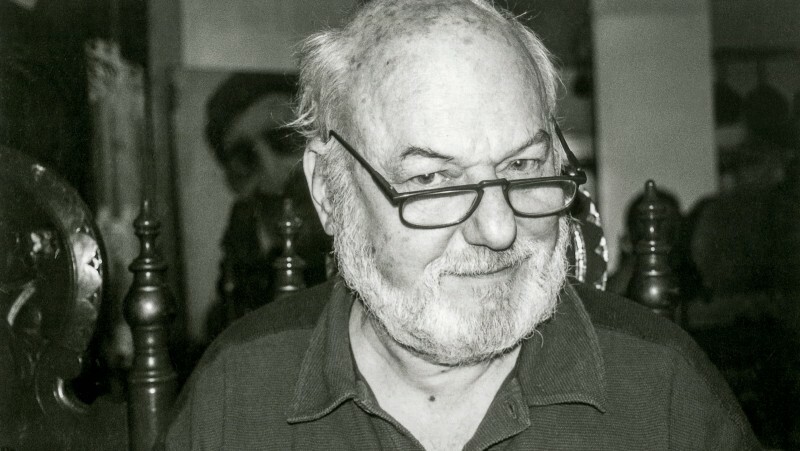 In these comedies, the trick delights, not only because we’re privy to a joke unavailable to the film’s characters and thrill to our role in the irony, but because it’s a joke about irony itself: about the double talk of the artist who says one thing and telegraphs something else. 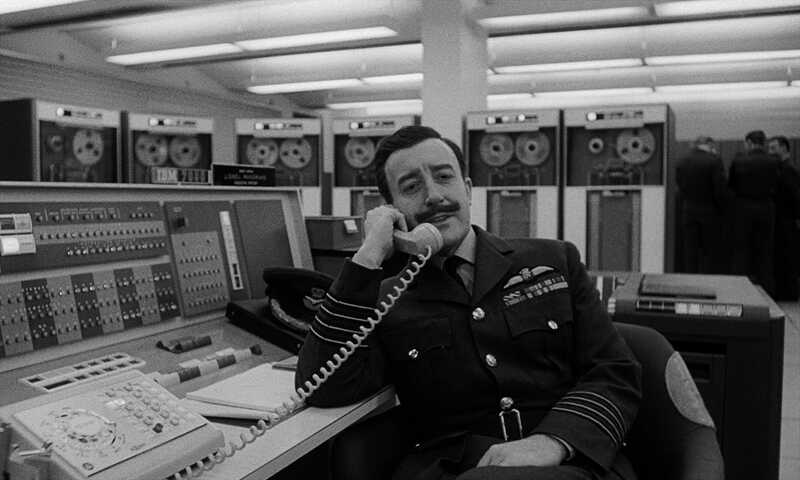 If, for instance, in Dr. Strangelove, Peter Sellers is so funny as Group Captain Mandrake at the same time as he’s the President, it’s because the straight-man seriousness of his Presidential alarm is thrown into relief by the absurdity of Mandrake’s jolly Britishisms. 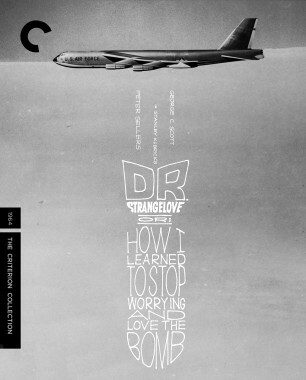 The irony works because Sellers is wholly in control of the juxtaposition; we can’t see the President without hearing Mandrake, just as, later, we can’t see Dr. Strangelove without thinking of him as the evil twin of the President. The actor wins, and we win with him. 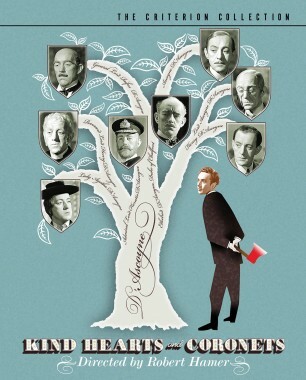 Similarly, in Kind Hearts and Coronets, Alec Guinness’s performance as eight members of the D’Ascoyne family expresses not only the inbred stupidity and mediocrity of the aristocratic clan but also the self-assured savoir faire of the artist, running rings around his fictional analogs. 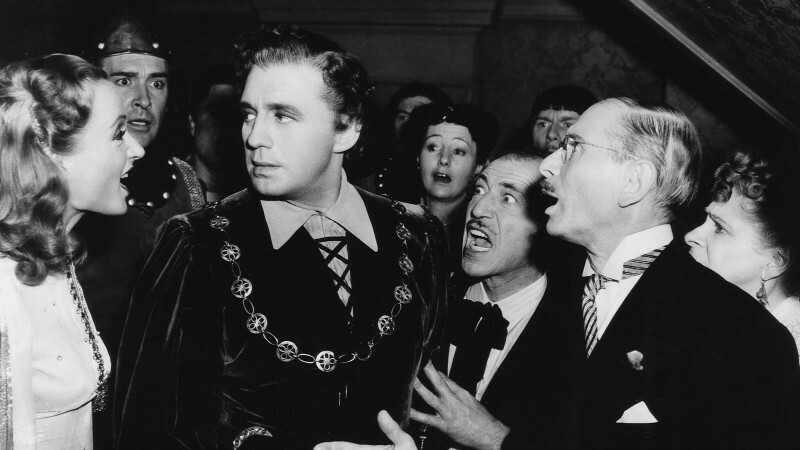 In both comedies, the actor’s multiple roles are played in succession rather than sharing scenes, imitating the mechanics of theater, where a tradition of multiple role-playing goes back millennia and sometimes barely registers. When we see both characters in a single scene, however, a virtuosic performance can incite the horror of the replica. 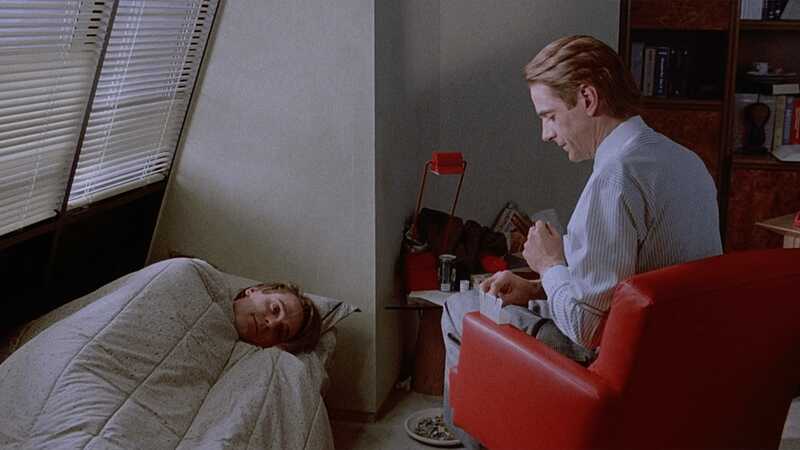 Editing technology that increases realist seamlessness, such as the frame splicing Cronenberg famously used to capture Irons’s performance in Dead Ringers, bolsters this effect. Dead Ringers flaunts the uncanny doublings of Irons’s matchless portrayal of Beverly and Elliot Mantle, identical twin gynecologists whose physical and emotional intimacy becomes violently mangled after Beverly falls in love with an actress and tries to separate from his brother. In early scenes, the nuances of Irons’s performances—his virtuosity rivals Hasegawa’s—are such that we almost could forget the characters are played by one person. As Bev, Irons is twitchy and self-effacing, his brow worried and chin wrinkled, while as Ellie, he’s suave and teasing, lip curled, and their contrasting costumes strengthen the distinction (Bev wears glasses, Ellie slicks back his hair). The uncanniness of the performance lies not only in the perception of one body as two but in the jarringly realist emotional intimacy Irons achieves between his characters. The film works because we care about their (creepy and semi-incestuous, but also authentically loving) relationship; Irons’s feat is to portray an emotional connection with himself. (See, for contrast, the woodenness of Bette Davis’s scenes with herself in the 1964 film Dead Ringer, where the actor’s charismatic persona feels hollow: she is clearly addressing no one, acting to the air.) At the climax of Cronenberg’s film, when Bev and Ellie merge in drug-addled communion, their identity is so gruesome because their separateness was so convincing. As we watch them stagger across the frame one after the other, in the same rumpled blazer and boxer shorts, rolling down their sleeves after an injection, Bev and Ellie’s likeness is ghastly, cadaverous. And as in An Actor’s Revenge, the subtext is the actor’s thrilling ability to transcend his gender. Dead Ringers—a film that begs for a Freudian reading—uses the female-named twins to examine male terror and envy of the multiplicity of the female body, with its biological potential for doubleness. The pill-popping actress at the center of the brothers’ collapse, played by Genevieve Bujold, suggests how the film represents acting as a generator of that duplicity as well. In Cronenberg’s film, we never see her act, although there is one scene in which she and Bev read a script; rather, her status as actor operates in the film in the same way as her status as sexual object: as an alibi for the self-desiring male doubles at its center. 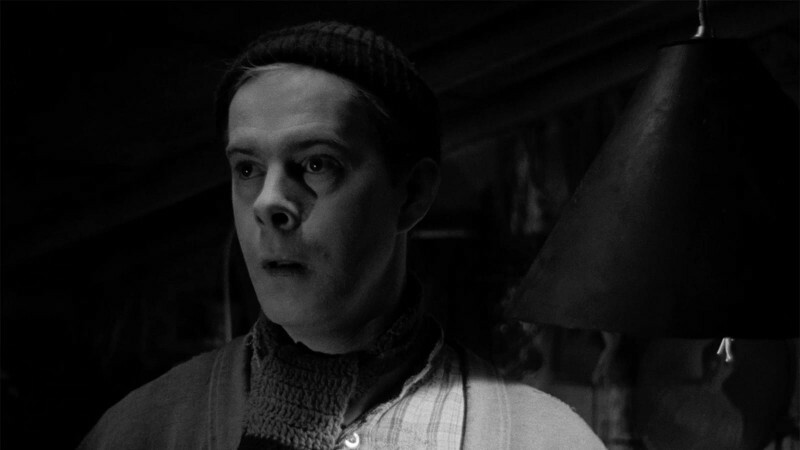 Irons, in full psycho-operatic glamour, is the real actor here, just as he is the one-made-two. 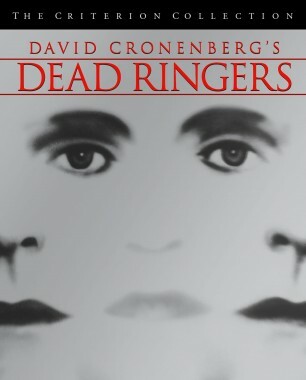 Like An Actor’s Revenge, Dead Ringers portrays the male actor as a near-female figure, whose acting enables a polymorphousness associated with women. His performance discloses how acting imitates the maternal body, creating others with no material but itself. The actor is always a body double.